World heavyweight champion ,Anthony Joshua has moved back into his mother’s two-bed ex- council flat despite earning an estimated £15million from defeating Wladimir Klitschko. last month experts said that Mr Joshua could soon be the world’s first billionaire boxer. .
was pictured moving back in yesterday. away from the spotlight despite the cameras following his every move. .
see her son in action since the London 2012 Olympics as Joshua says she would put him off as they are so close. 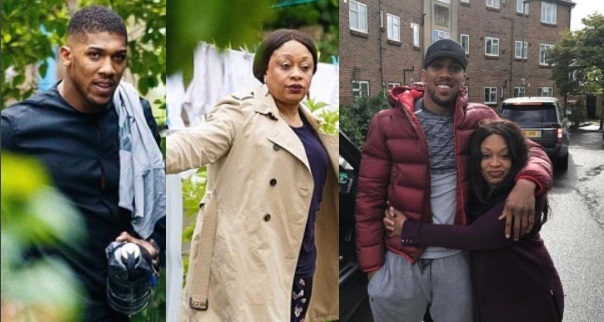 0 Response to "Anthony Joshua Moves Into His Mother's 2-Bedroom Flat Despite Winning $15Million"